Audrey Long (Barnaby) kindly conveyed the sad passing of James Condon (1923-2014) the younger brother of Coralie Condon, who was an actor of great note, performing on the stage, radio, films and television. Coralie and James used to talk each night by phone until he had a stroke last year and was placed in high care. James Condon was born on September 27, 1923 in Fremantle, Western Australia, and he was still a boy when his mother died, so Coralie helped raise him, whilst their father spent much time in the eastern states. James and Coralie where both involved with the repertory theatre in Perth. 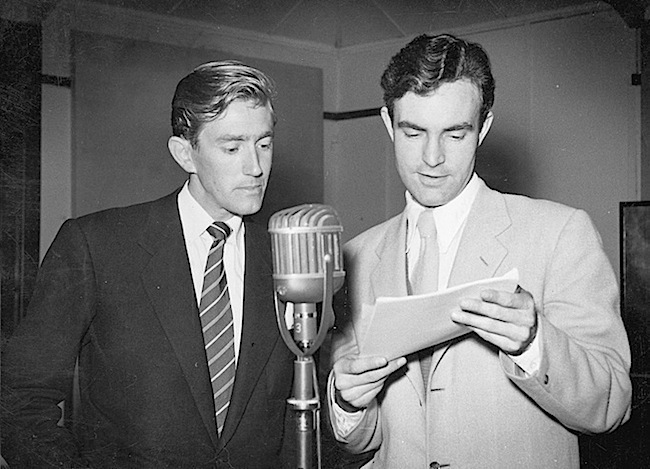 James’ professional acting career began with ABC Radio in 1942, at Broadcast House in Stirling Gardens, located next to the Government House Ballroom in Perth. At 18 years of age, James joined the RAAF Reserve, whilst awaiting call-up, to then serve three and a quarter years in the Air Force, with the rank of Flight Lieutenant, having flown operationally as a navigator with RAF Squadron 547, B24 Liberator, Coastal Command stationed at Leuchars Junction, Fife, Scotland for the last six months of the war in Europe. He had been working in ABC radio drama for six months in Perth before being called up for war service, and returned to acting in 1945. 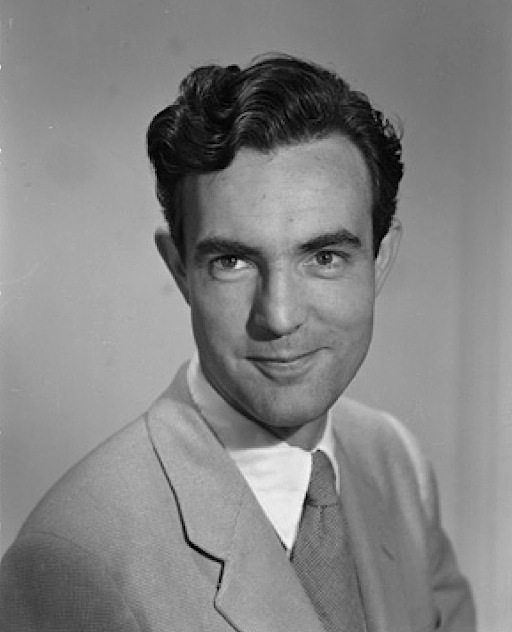 Then in 1949, He went to London and worked for the BBC in radio and television until 1951. Whilst there, he married his first wife Joan Cranmer and had four daughters. 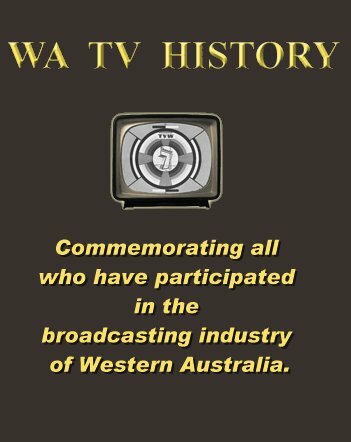 The ABC then contracted him at four times the salary he was getting in London. James returned to Perth to work for ABC Radio and continued his stage acting with the amateur Perth Repertory Club. The Rep then evolved into The National Theatre Company at the Playhouse. The Playhouse theatre opened on Wednesday 22 August, 1956, with “The Teahouse of the August Moon” written by the American playwright and screenwriter John Patrick, and directed by Nita Pannell. James played the role of Captain Fisby, with James Kemp as Colonel Purdy, Michael Cole as Sakini, Frank Baden-Powell as Capt. McLean, Penelope Hanrahan as Lotus Blossom and Garry Meadows as Sgt. Gregovich. James continued working as an actor, scriptwriter and interviewer with the ABC in Perth until television began in Australia in September 1956, following which he moved to Sydney where he scored a lead role in Portia Faces Life, and this lead on to other radio work. For more than three decades he worked continuously in television, radio, theatre, film and voice-overs. During those years, James met the actress Anne Haddy, firstly as friends, then much later as lovers, and were together since 1974. They married in 1977. 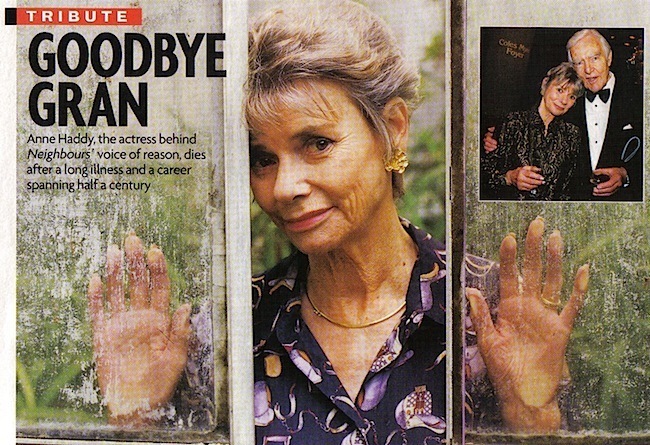 In 1985, Anne landed the role of Helen Daniels on Neighbours. James and Anne moved from Sydney to Melbourne for Anne’s part in the show. Her role was the backbone of the Neighbours series from 1985 to 1997. He acted alongside Anne twice in Neighbours – as Douglas Blake in 1985 and again in 1995 as Reuben White. Anne passed away in 1999 of heart and kidney ailments. 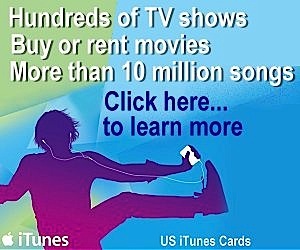 After the Deluge (2003 TV Movie). In addition there have been many stage appearances including a wonderful 1993 production of Madame Butterfly, which was a great success in Melbourne and Sydney before they toured over several months. This was followed by ‘A Flea in Her Ear’ and ‘There’s One In Every Marriage’, at Mietta’s Theatre Restaurant, Melbourne, in 1994. For the 1995 Melbourne International Comedy Festival… James appeared in The Best of British: ‘Rookery Nook’ and ‘When We Are Married’, which were performed on alternate nights at Mietta’s Theatre Restaurant. 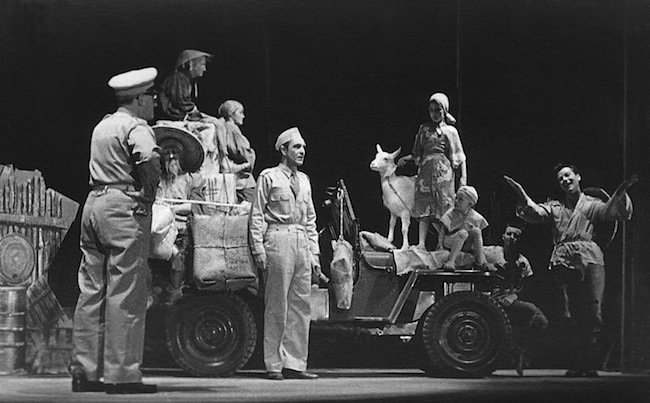 James was one of four actors (aged from 22 to 80) who breathed new life into an epic Australian war poem: Sky Saga. This was about the heroism of World War II Australian airmen. It was written by Sir Thomas White, himself a heroic World War participant who later became federal aviation minister under Prime Minister Menzies and High Commissioner to England. Sky Saga (the 12-minute version) was then performed by Royal Melbourne Philharmonic Orchestra and Choir as part of the Spirit of Anzac Day Concert, April 25 2004, at the Melbourne Town Hall. James recorded many talking books for the blind. Originally, for the Louis Braille Talking Book Library, then for the National Institute of Library Resources, doing about six books a year. He narrated the 1992 and 1995 TDK Australian Audio Books of the year. Aged 90 years, late of RSL Veterans’ Village Narrabeen. 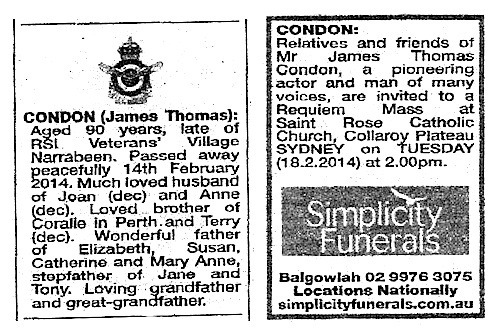 James Thomas Condon passed away peacefully on 14th February 2014. Much loved husband of Joan (dec) and Anne (dec). Loved brother of Coralie in Perth and Terry (dec). 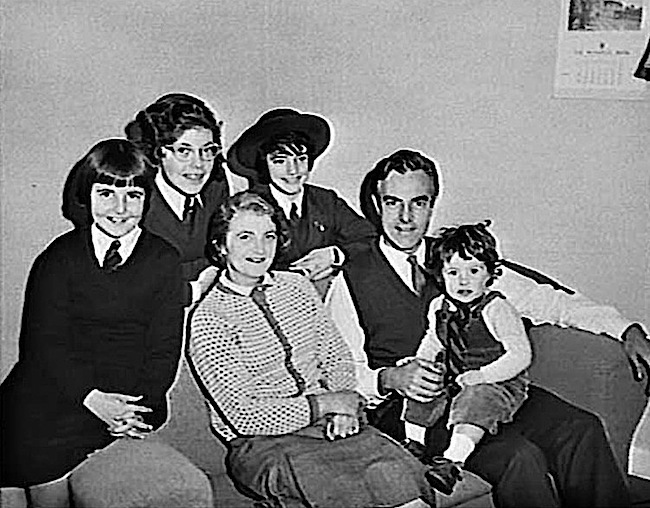 Wonderful father of Elizabeth, Susan, Catherine and Mary Anne, stepfather of Jane and Tony. Loving grandfather and great-grandfather. Relatives and friends are invited to a Requiem Mass at Saint Rose Catholic Church, Collaroy Plateau Sydney on Tuesday 18th February, 2014 at 2.00pm. with such radiant presence. My short professional exposure to Anne and James as their physiotherapist and massage therapist in Melbourne leaves memories of a wonderful human character. Farewell and Thank you for enriching many lives. I am bitterly disappointed that I have only now become aware of the passing of James Condon. I enjoyed working with him when he read news at 2CH in Sydney. Such a professional, so remarkably talented and such a very, very nice man. Hw was the perfect gentleman. People like James gave so much to us all.